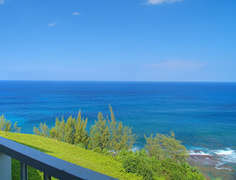 A Million Dollar View! Take in the phenomenal Hawaiian wildlife from this 20 ft. lanai - whales, spinner dolphins and more. 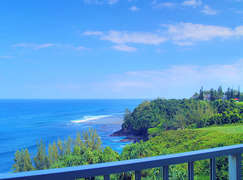 View the ~180 degree coastline from the beacon of the Kilauea lighthouse to sunsets over Bali Hai on the West. 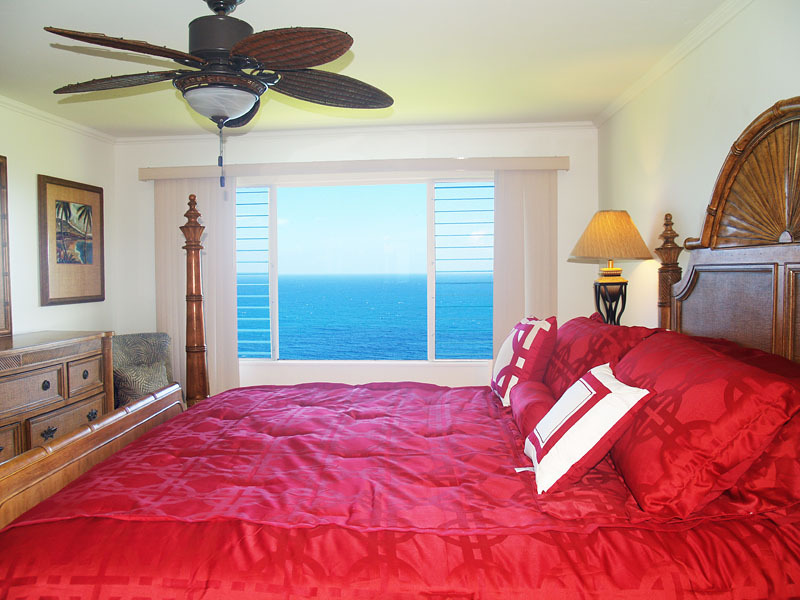 With the top floor location and one easy flight of stairs, you'll revel in solitude right above the waves. 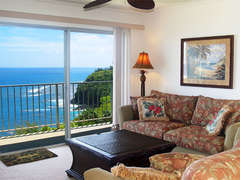 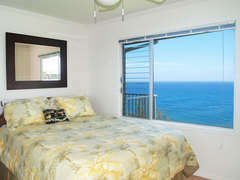 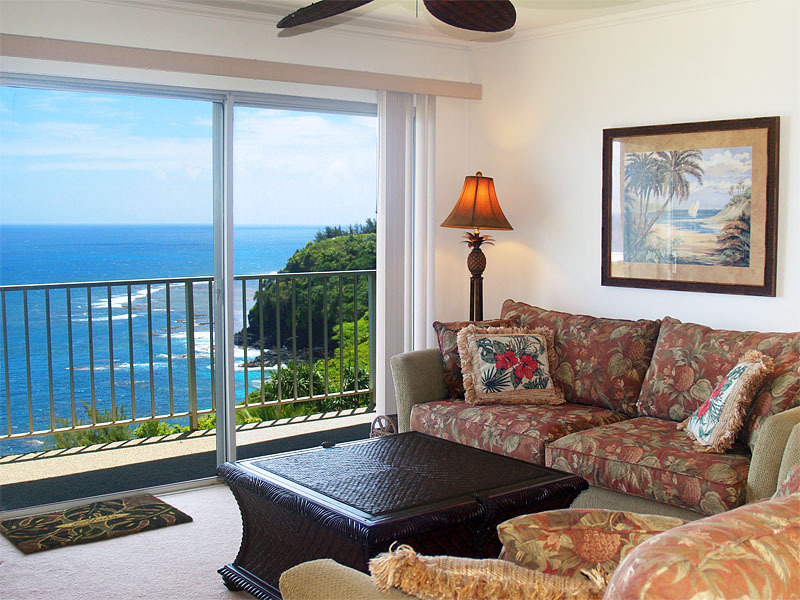 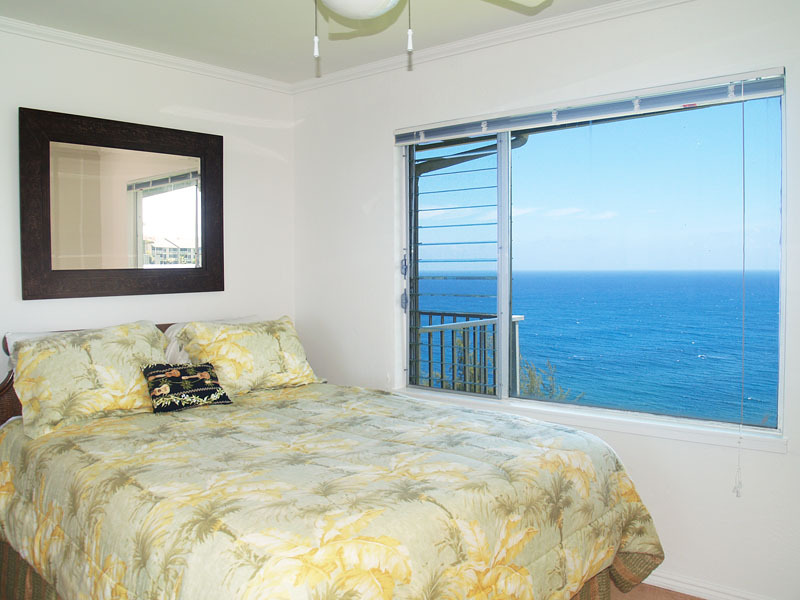 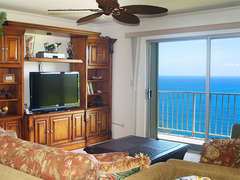 Ali'i Kai 4303 has Island-style decor to make you feel right at home while on Kauai. There is a King Posturpedic bed in the Master and a Queen Posturpedic in the second bedroom - each with their own full bathroom. 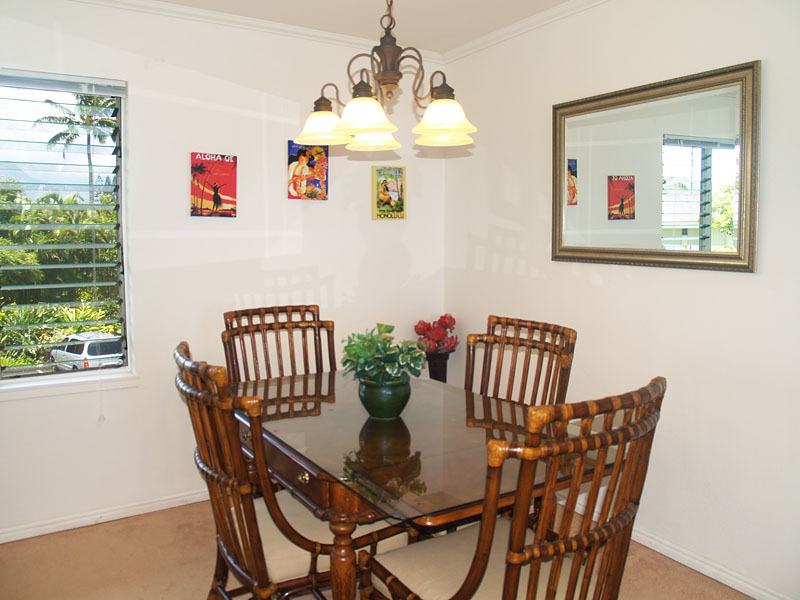 Balinese and Hawaiian artwork have been hand selected to compliment the furniture selections and bring the 'Aloha' inside to you. 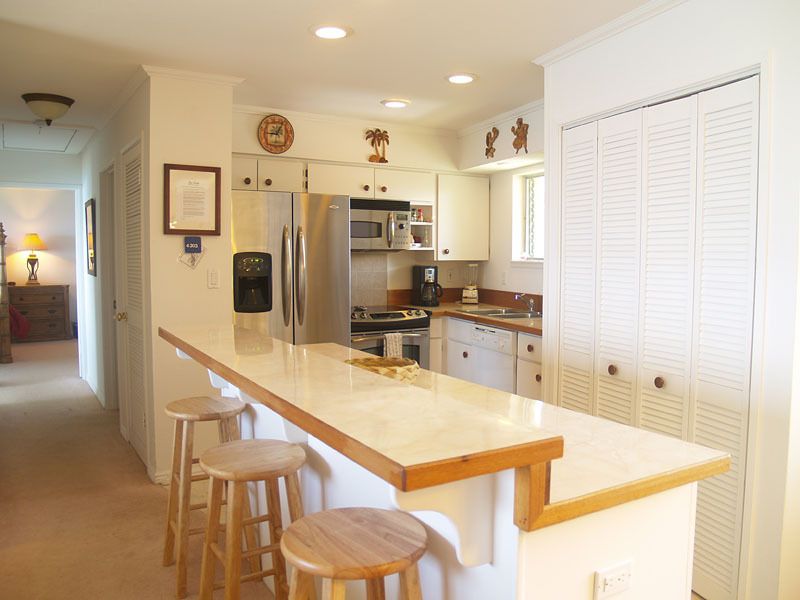 Make excellent use of the open-kitchen and enjoy conversation as your prepare your meals with the day's fresh catch and enjoy the other fully stocked amenities full open kitchen and other pleasing amenities. 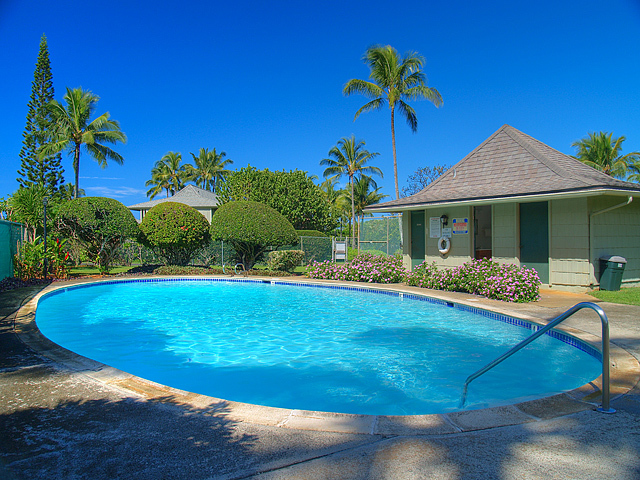 An in-unit washer and dryer, free WiFi, telephone, TV with cable and DVD player bring all the convenience factors of home with you to the island! 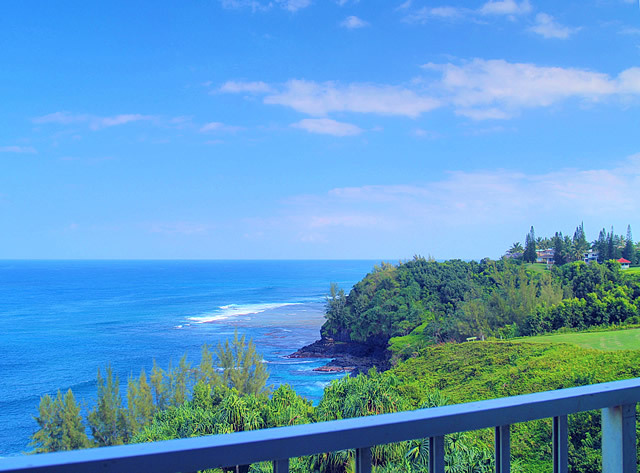 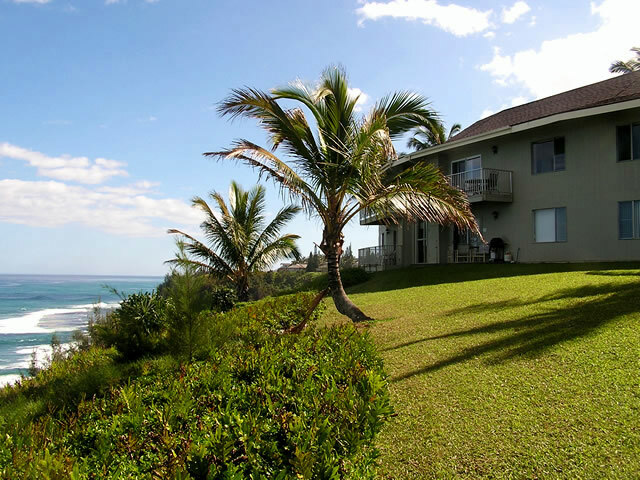 Epic Oceanfront Views! 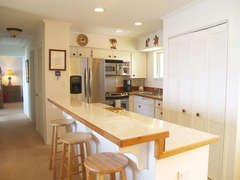 Dynamite rates! Whether you're in the master bedroom, living room, dining area, or out on your private lanai, you will have breathtaking and unobstructed ocean views from anywhere in the 1200 sq. 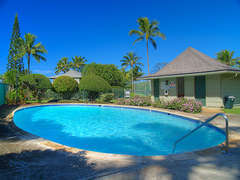 ft.unit! 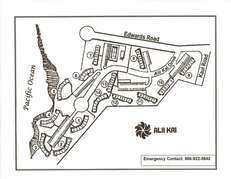 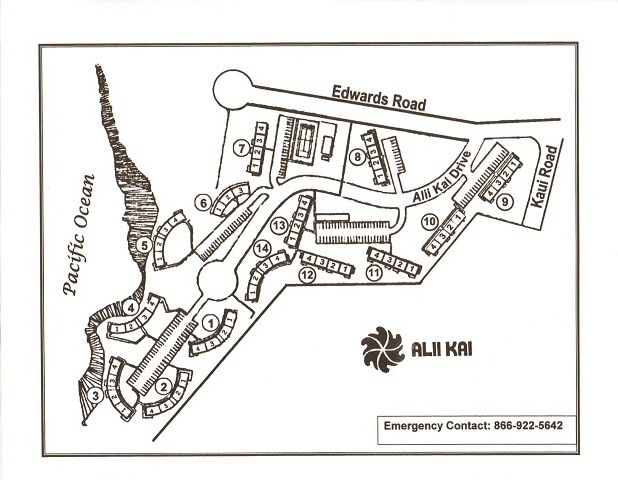 The Ali'i Kai complex has a pool, both gas and charcoal shared barbecue grills, and is close to all the great north shore beaches and sights. 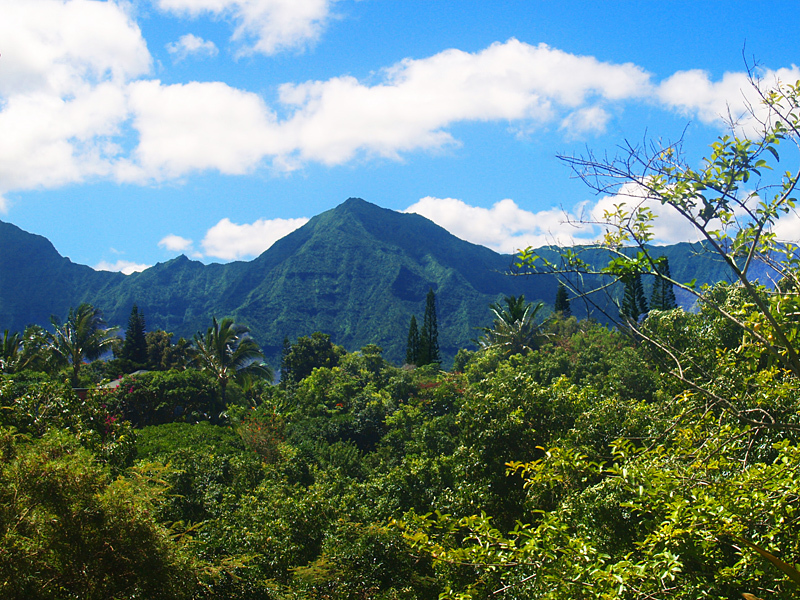 Hanalei Bay is less than a 5 minute drive. 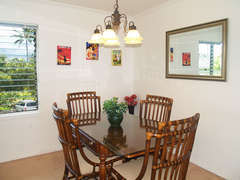 Enjoy this charming, very private setting.